Hello and welcome to exampundit. 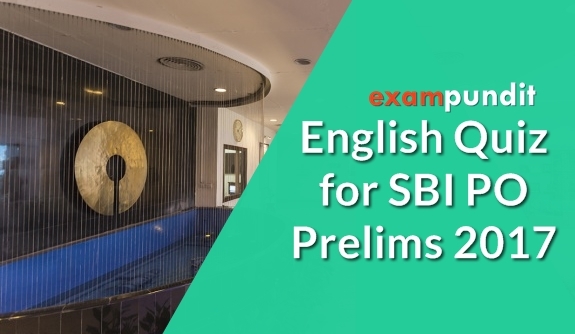 Here is a set of English Quiz for SBI PO Prelims on Cloze Test. 5. 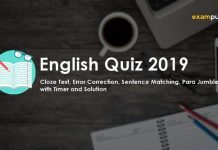 Answers will be updated after 2pm today. 1. (d) Because the rest options do not provide a proper meaning. 4. (d) ‘Hug’ is always given. 5. (d) Option fits best. 8. (b) Radiant here means shinning due to happiness. 9. (b) Rest alternatives don’t fit with the meaning of the paragraph. 10. (b) Option fits best.